GAME INSTRUCTION: TONG-ITS is one of the most popular card games in the Philippines. It is designed to be played with at least three (3) to four (4) members. The winner will have the lowest number of cards according to points or to play all the cards out in your hand by the end of the game. You can have a "Double Payment" if you played all your cards in your hand. 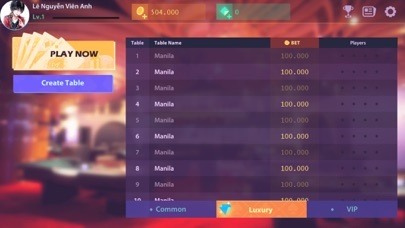 You can also end the game by having a DRAW or DEAL; if and only if, you know that you have the least amount of points in your cards. 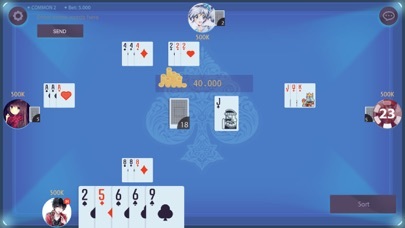 The other players can also have the chance to FOLD if they think that their cards have a higher amount of points. * Number of Cards if you have Four (4) Players. - NINE (9) cards will be given to the dealer. - EIGHT (8) cards will be given to the other three (3) players. * Frequently, Tong-its is being played with THREE (3) players only. - Thirteen (13) cards will be given to the Dealer. - Twelve (12) cards will be given to the other two (2) players. 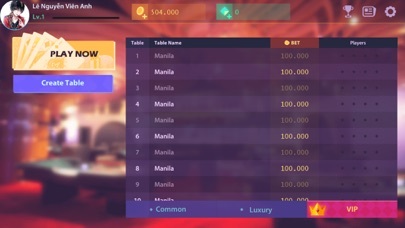 NOTICE FOR ALL PLAYERS: *The First Dealer is chosen by random. *The Dealer shuffles the cards and gives it to the other players. *The order of the play is counterclockwise. *The dealer must be the winner of the previous match/hand and has to have thirteen (13) cards on his/her hand in the present game. 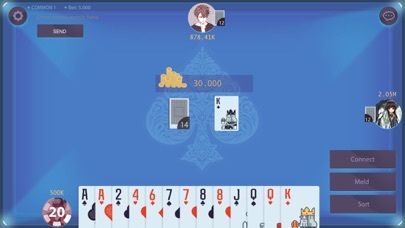 *The next player has the option to chow or pick one card in the central stack before he/she can throw cards. *You also have to think about "One Down Secret" or "Two Down Secret" before making a deal or asking to draw in the match. *There are many ways of playing TONG-ITS. The rules will depend on what the players have discussed and agreed upon. *All players must agree to bet on a specific amount and the payment mode before the game starts. THIS IS OUR MOST VALUE CARDS: * FOUR-OF-A-KIND * THREE-OF-A-KIND * STRAIGHT BLA BLA BLA (it’s just the simple rule, don’t worry about it) You can Meld if you have three straight cards in your hand. These are the examples of three (3) straight cards. 1,2,3 - 4,5,6 - 7,8,9 - 10, J, Q - J, Q, K with the same suit You can only CONNECT/SAPAW if the other players have a meld. EXAMPLE: He/she Melds straight cards (7, 8, 9), you can now connect your cards with a diamond suit. 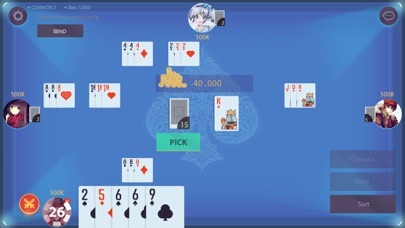 You can connect your cards with a higher or lower value of card with the same suit (diamond, heart, spade and clubs) The above instruction applies the same way if you have THREE OF A KIND cards. EXAMPLE: When your opponent melds three 8's (8, 8, 8 ) and you also have the same value of card, you can connect it to his/her meld. When the opponent discards a card that you need, you can pick it up or chow the card to connect to one of your melds. EXAMPLE: When you have (7, 8) and the opponent throws a ( 9) or (6) you can CHOW or GET the card to make your cards MELD or house. Meld or Bahay happens if you have a houseful of cards. The lowest possible number of cards to meld is three. EXAMPLE: You have (7,8,9 same suit like diamond , heart , spade and clubs ), you can Meld the set of cards. So, are you ready? AND THIS IS WHY WE LOVE THIS GAME: -SAGAGA WIN: When you get a card from the central stack and it's the one you've been needing so that you can connect it to one of your meld. -TONGITS WIN: This happens when you played all of your cards in one turn. -TALBOG WIN: When the opponent discards a card and you got it because that is the only card you've been needing to win the game. -4 PLAYERS HAVE FUN: 3 friends? 4 friends? No matter, you all can play together. MORE? 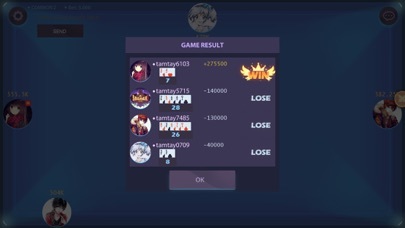 No worry, you can watch your friends PLAYING easily. -Extremely low on data usage: we don’t use much graphic effect, so it’s nearly suitable for all types of device. And you don’t even need to pay just to download. Best Regards, From All Fun Game Team with love.